Blizzard Entertainment is one of the biggest video game studios in the world with major franchises like Warcraft, Starcraft and Diablo under their belts. Gamers chomp at the bit when to comes to trying new Blizzard games. Beta testing games is a great way to be one of the first out of the gate. When players beta test a game, they get access to a game before it’s released, in exchange, testers report any issues that they find as they play. It’s a win/win for players and developers. This tutorial will outline how you can apply to beta test any new games that Blizzard is going to release. 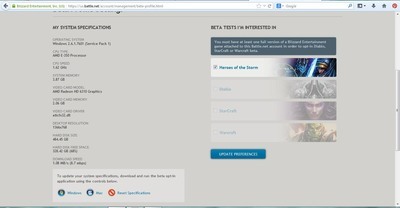 To be considered for beta testing Blizzard games, you must first have a Battlenet account. If you have played any of Blizzard’s PC games over the past five years, then chances are you already have a Battlenet account, if not then you must sign up for one. 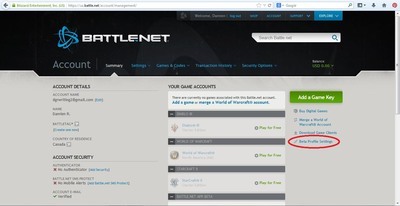 To sign up for a Battlenet account, go to battle.net and click on ‘Create an Account’ at the top of the page. You will need to fill out the requested information and submit. A verification email will be sent to your email address. Log into your email, open the verification email, where you will find a link that you must click which verifies your email address. 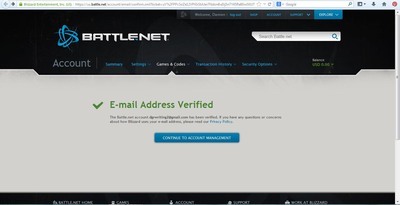 You cannot apply to test games with Blizzard until your email address has been verified. 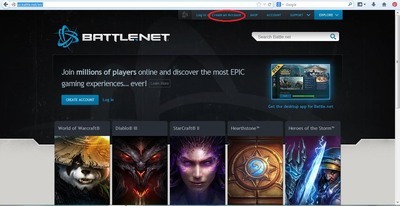 Clicking on the verification link will bring you back to the Battlenet website. Click on the Summary tab, on the left of the page, then click on Beta Profile Settings as shown below. A new page will load with two green ‘Download’ buttons. Click on the appropriate button for your operating system, with Windows on the left and Apple on the right. This will download a small program onto your computer. Run the program you have just downloaded. This program takes a look at your system specifications and sends that information to Blizzard, this is how Blizzard will discern if they want you to test their newest games. Once sent, Battlenet will automatically pop up. All of the system data you just sent should show on the left side of the screen. On the right side of the screen will be all of the games that Blizzard currently has in beta. Ensure that the game(s) you wish to beta test have a check in the box next to their name(s). Then click on the blue Update Preferences button below the game list. You are have now applied to be a beta tester for the game(s) you have selected, if chosen you will receive an email from Blizzard with further details. This may happen right away, or it could take several months depending on what Blizzard needs at the time.